BRASH! 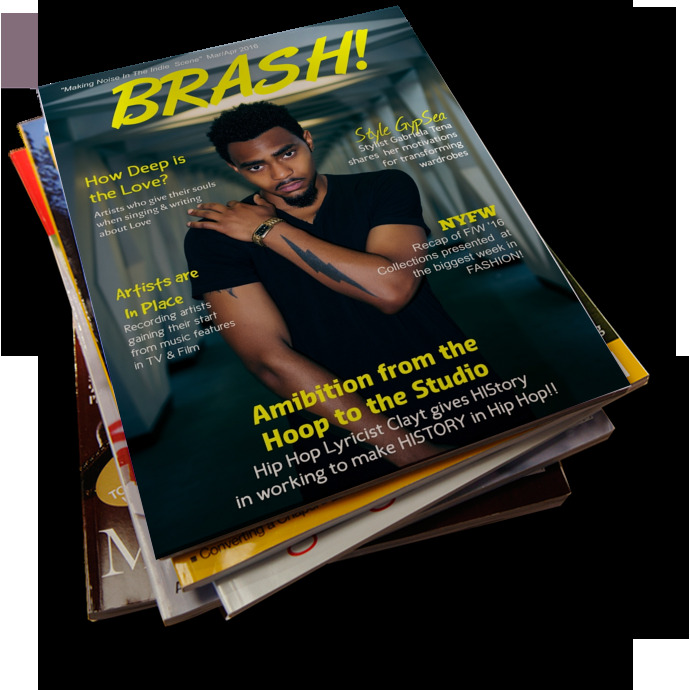 Magazine is a bi-monthly digital entertainment publication designed to highlight Independent Artists, Labels, and business professionals within the underground music scene. The goal of BRASH! is to provide music marketing/promotion content for its readers as well as provide a platform for Indie Artists/Labels to gain press/media exposure for their brand. This publication also contains features from start-up/indie fashion brands and professionals along with engaging entertainment news. For more information, visit wwww.BRASHMagazine.info.